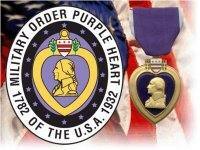 This document includes information relating to the Military Order of the Purple Heart Department of Pennsylvania (MOPH DOP) grant policy and procedures pertaining to requests for individual grant requests. It formalizes procedures used by various chapters and includes eligibility and application requirements, and it provides an application Form. The purpose of our program is to provide emergency financial assistance to veterans or dependents meeting our eligibility requirements. Subject to the Department’s financial capabilities, the amount will be defined by need and shall normally be limited to no more than $1,000. Except under special circumstances approved by the Department, neither the Department nor its chapters will provide grants directly to individuals. Our intention is that our support be used mainly for unanticipated, one-time events beyond an individual’s control for which he lacks the necessary financial resources, thereby reducing the likelihood of additional problems later. Examples are a car for transportation to work needs repairs; the furnace has stopped working; the house has burned down; the veteran cannot pay this month’s rent because of a medical bill; etc. It is not our intention to service repeated requests from a veteran which have no end in sight. The MOPH DOP will not encourage a dependent relationship. For these veterans, intensive case management is necessary. Instead, it first will seek out professional organizations which can, should, must, and will get involved with these veterans to assist in making behavioral changes in their money management skills or their employment situation. Appropriate agencies or non-profit organizations specializing in homelessness, addiction treatment, unemployment, or other relief issues. The Department of Pennsylvania will establish a standing committee (hereafter, the Committee) to review and approve grants from individual veterans or their dependents. The Committee will consist of the Department Commander, Finance Officer, and Adjutant, unless otherwise modified at Convention or by the Department Executive Committee. The Committee will have the authority to authorize the expenditure of the budgeted amount to support such grants. Additional amounts will be approved by the Finance Committee. Requests for assistance will be considered from any veteran or dependent or widow/widower, if the veteran was discharged under other than dishonorable conditions. Those still serving in the Reserve or Active Components are not eligible because they are eligible for assistance from other service organizations such as the Army Emergency Relief program, the Air Force Aid Society, or the Navy Marine Corps Relief Society; and the Commonwealth’s Military Family Relief Assistance Program. The individual is required to properly complete and submit the application form to a caseworker (see ‘Policy’ above). The chapter or Department will suggest appropriate caseworker organizations to contact (see the Policy section). The applicant will be directed to advise the MOPH chapter or Department where the application was submitted and to provide the necessary contact information. The Department or Chapter Committee will pay or reimburse the caseworker organization for an amount for the use of the applicant not to exceed the initial request for grant and not over $1,000. A caseworker organization on file may directly submit the application on behalf of the individual, the request being treated as if the individual had prepared it. If the application for grant was received by a chapter, the chapter will directly pay the caseworker organization using a portion of the Department’s MOPH Service Foundation grant allotted it. It may not exceed that amount. If the application was received directly by the Department, the Department will fund the request directly, if funds are available.